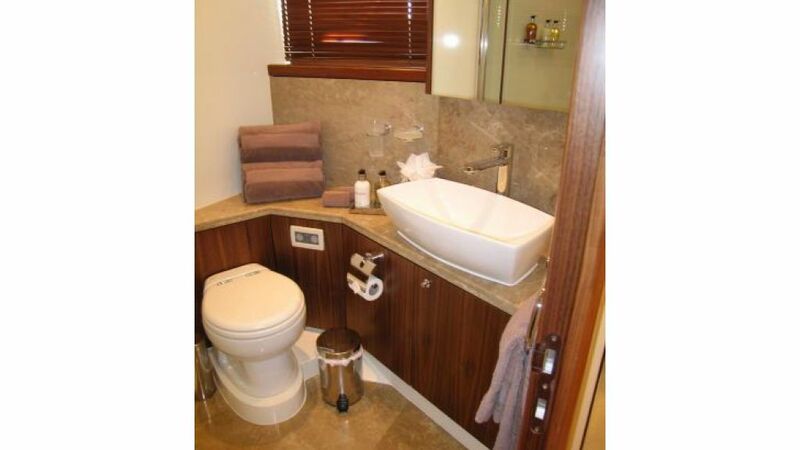 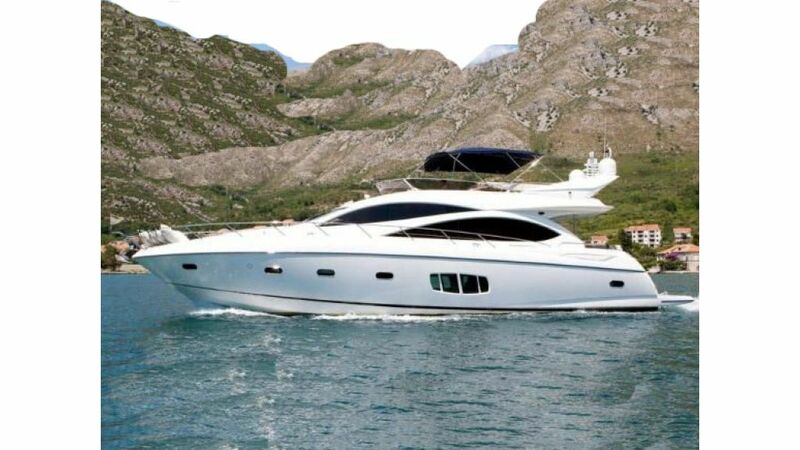 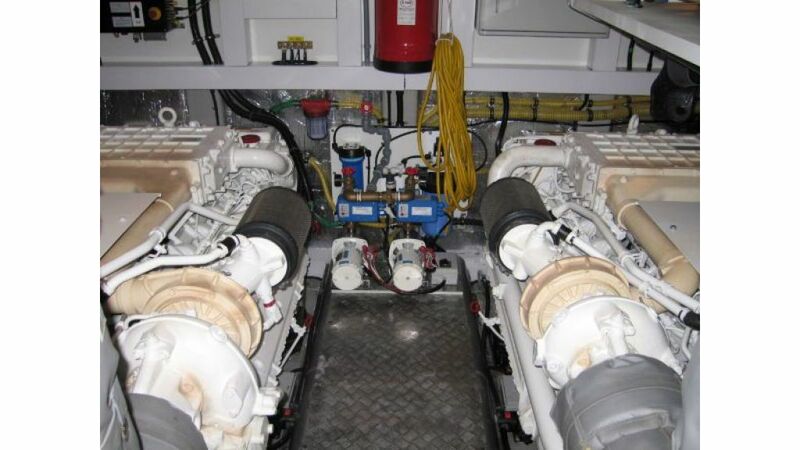 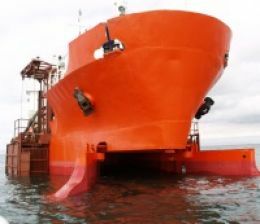 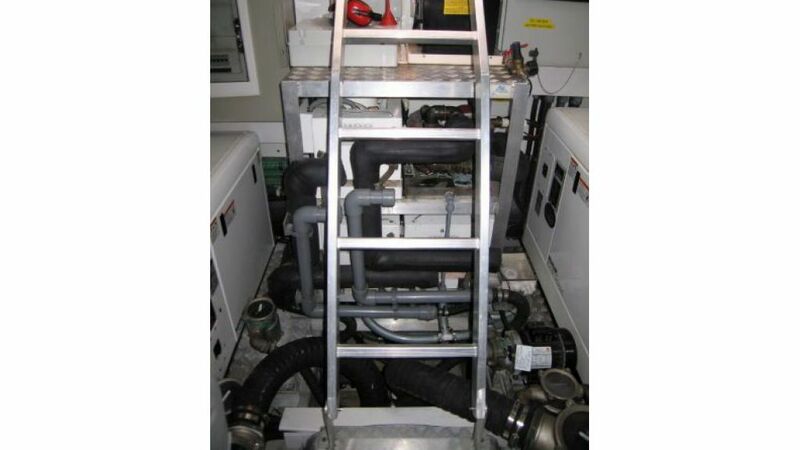 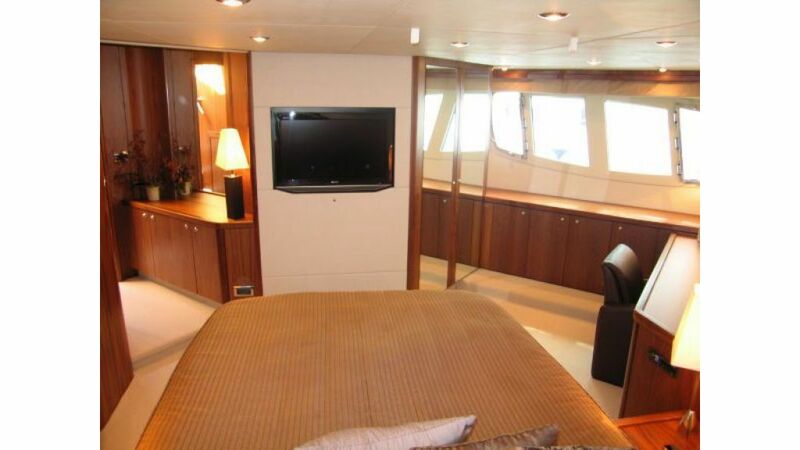 She is full beam double berth master cabin aft with ensuite facilities. 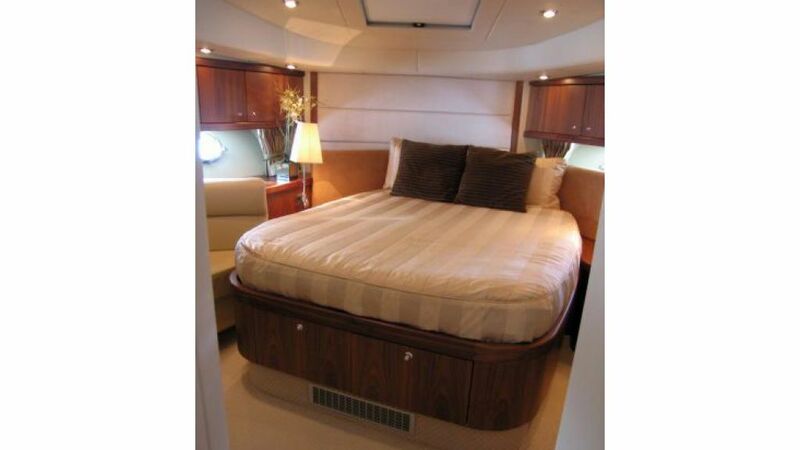 Double berth VIP guest cabin fwd with ensuite facilities. 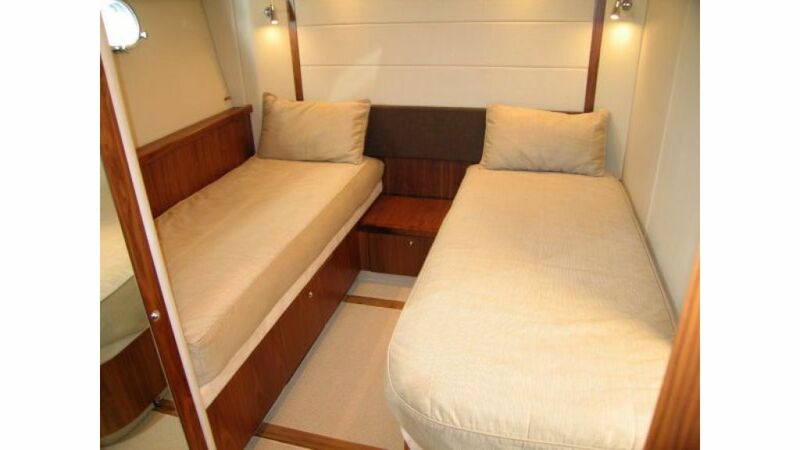 Second guest cabin starboard with twin berth & ensuite. 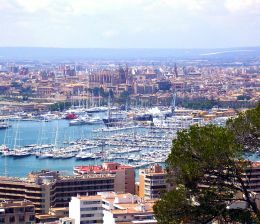 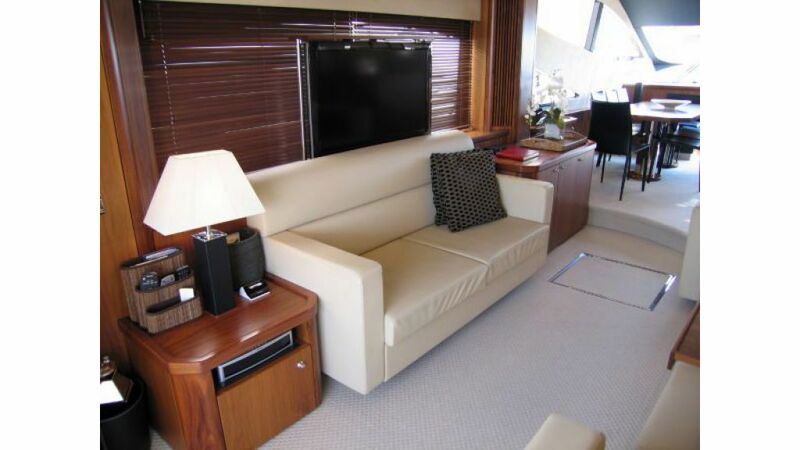 Third guest cabin to port with Pullman berths & private access to day head. 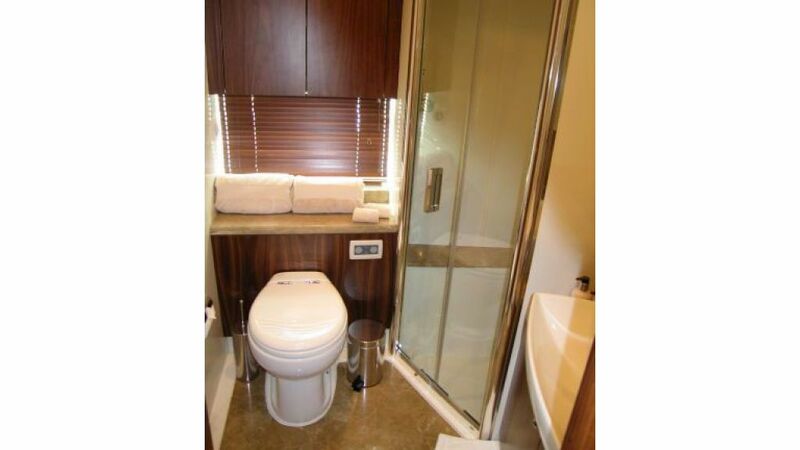 Crew quarters with 1 double berth & Pullman bunks, head/shower room. 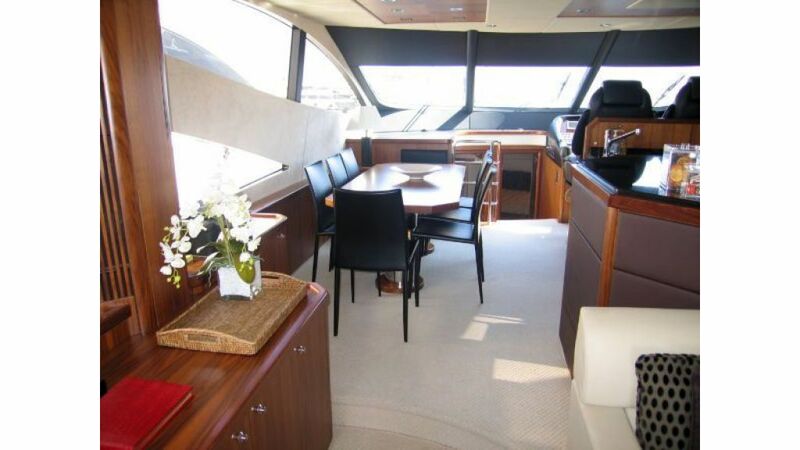 Large saloon area with a comprehensive galley. 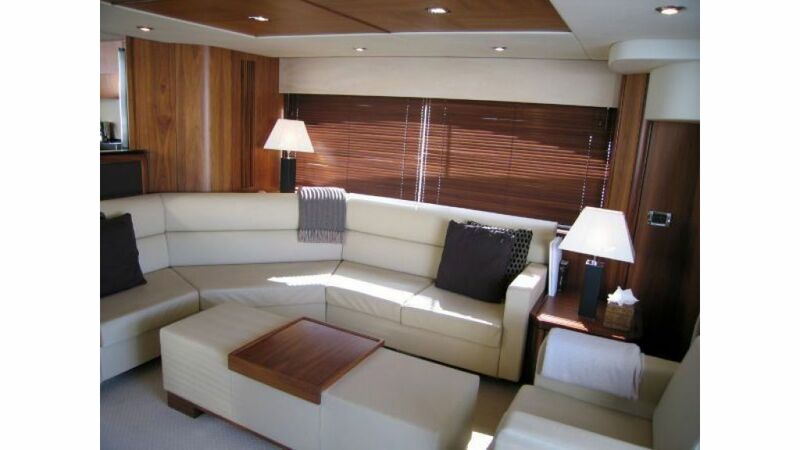 Black American walnut finish throughout, stone leather upholstery & desert textured carpets. 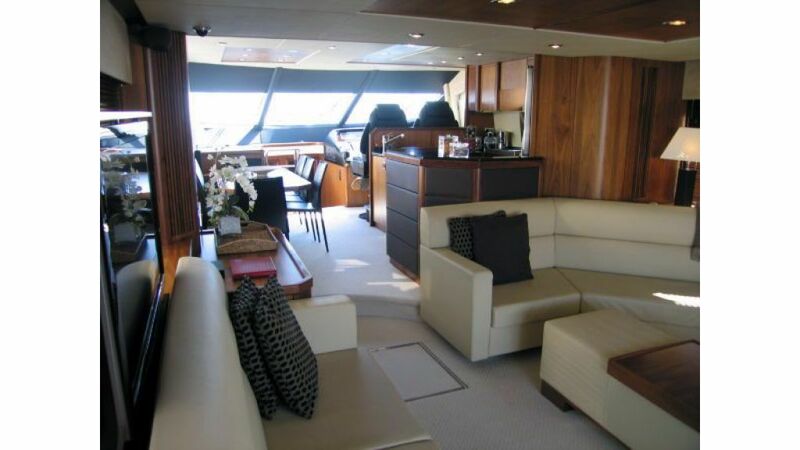 Wooden flooring in galley with galley top in black Galaxy granite. 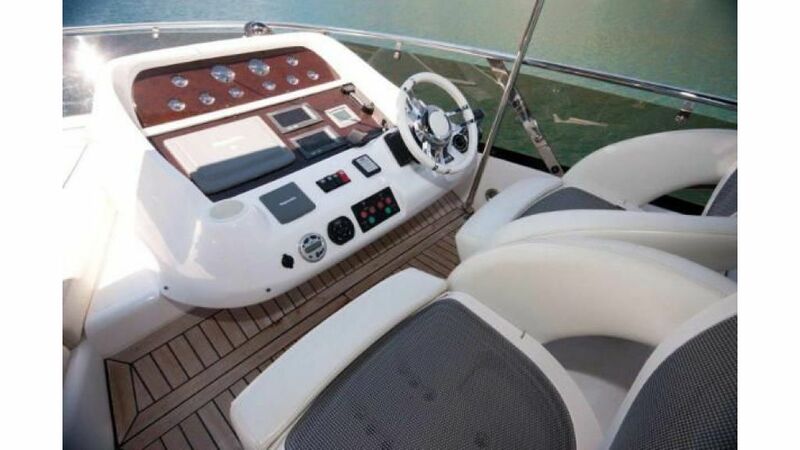 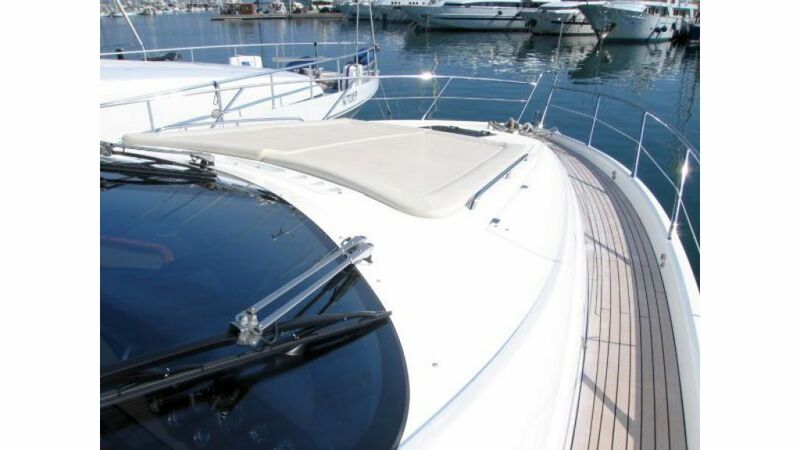 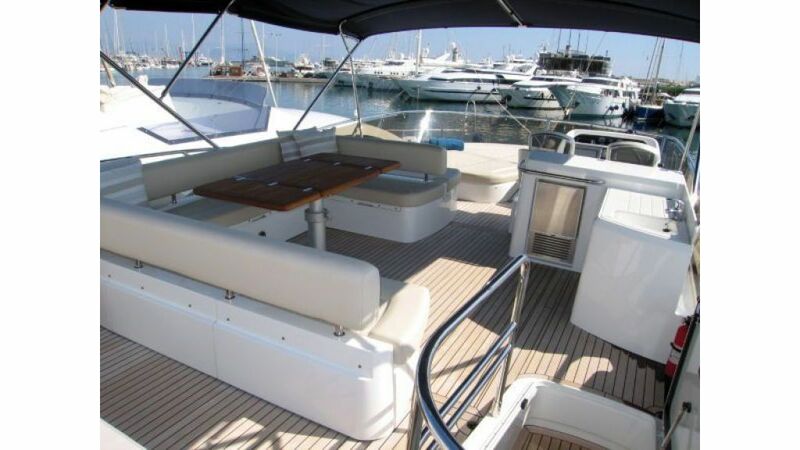 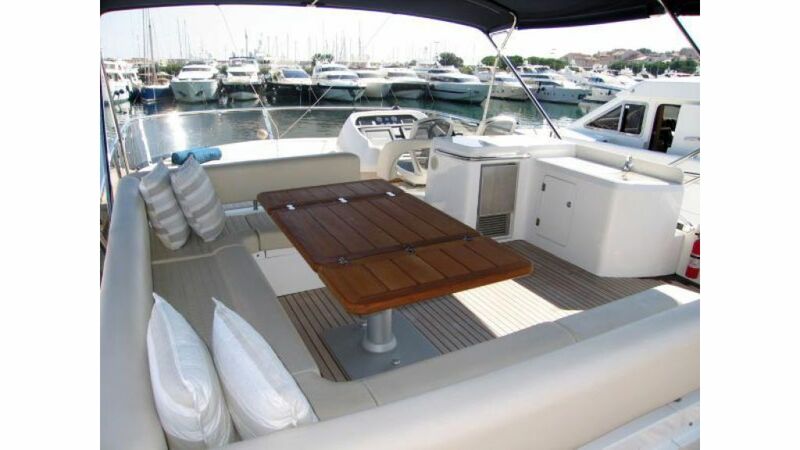 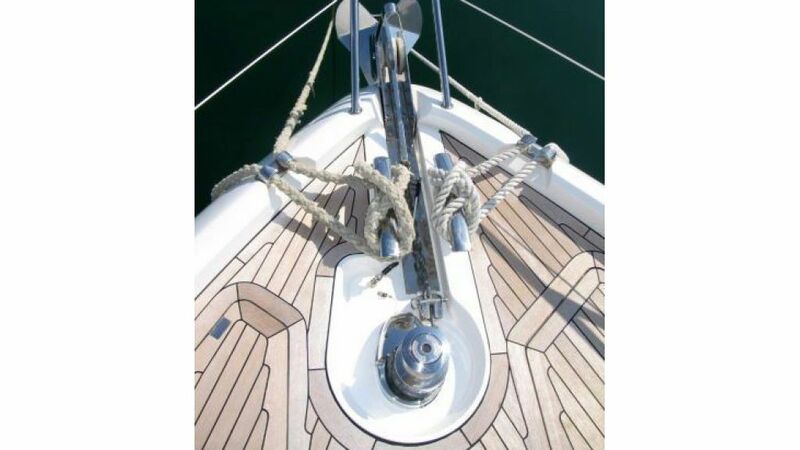 Cream upholstery on flybridge & foredeck seating, grey sunbrella to aft cockpit.